CCredited with countless miracles and intercessions since discovery of her tomb in the most ancient catacombs of St. Priscilla in Rome in 1802, St. Philomena is prayed to by people of diverse ages, culture and social standing around the world. The young virgin who was martyred at age 13, willingly traded her earthly life for heavenly salvation and continues her work today promoting the virtues of purity and sanctity among the world’s youth and bringing the faithful closer to our Blessed Mother and Jesus Christ. It would seem she was held in quiet reserve by God for nearly seventeen centuries and summoned at a time when so much uncertainty and absence of faith abound. intercede for me now and at the hour of my death. 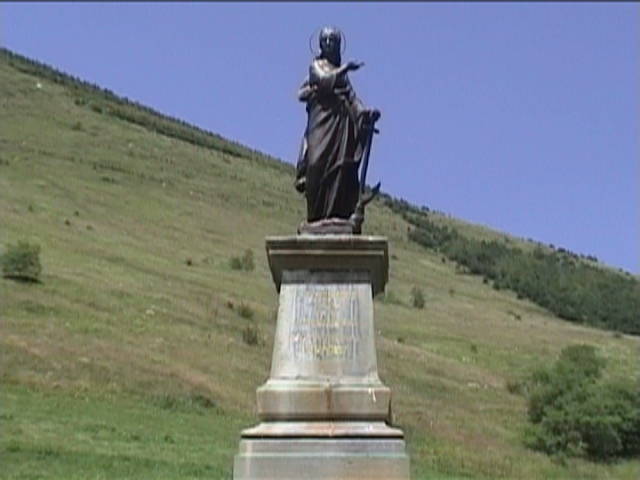 On August 10, 1835, Pauline Jaricot received a miraculous cure of a severe heart ailment at Saint Philomena’s shrine in Mugnano del Cardinale, Italy, during the Benediction of the Blessed Sacrament. Immediately following, she appealed to Pope Gregory XVI to begin an examination for the beatification of “Filumena,” daughter of light. 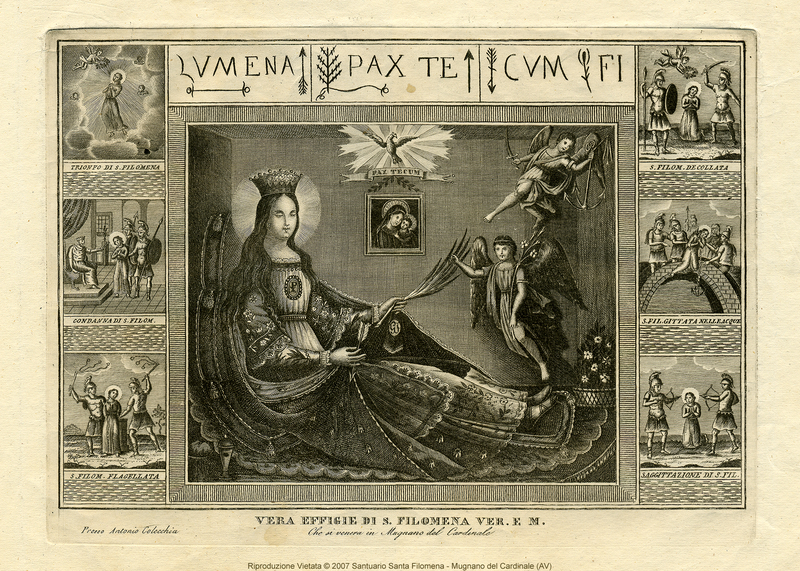 And on Jan. 13, 1837, Pope Gregory XVI named St. Philomena Patroness of the Living Rosary, and declared her to be the “Thaumaturga,” the “Great Wonder-Worker of the nineteenth century.” In a solemn decree, he raised her to the altar of the Church, granting her a special feast day (August 11) and a Mass in her honor. The name Philomena (fee-lo-MAY-nah) is of Latin origin. The inscription on the original loculus tiles on her tomb, is Filumena. The word filia is Latin for daughter. The word, lumena, is Latin for, light, lamp, lantern; light of day; the eye; clearness; understanding. The very name of Philomena contains the words: filia luminis, daughter of light. She is the enlightener of a dark and corrupt age confounding the sneers of materialism. Mother Maria was overwhelmed by this and thought she had fallen as prey to this illusion. She took refuge in the Sacrament of Penance, confessing the whole event to her spiritual director. He was not so hasty in disposing of the matter. He proceeded to write to Don Francesco de Lucia Link Out in Mugnano and inquired about the truth of whether or not he originally intended to have the translation on August 5. Don Francesco’s reply confirmed that he indeed encountered many obstacles which detained him from carrying out his plan to arrive in Mugnano on the fifth. At that, Mother Luisa’s director granted her obedience to ask St. Philomena other details of her life and martyrdom. Again, Mother Luisa went to the Saint, and begged her not to take any notice of her unworthiness, but to consider that it was a matter of holy obedience, and to reveal more about her life. After that time, there came a day when Maria was alone in her cell and felt her eyes being closed. She heard the gracious voice of St. Philomena. 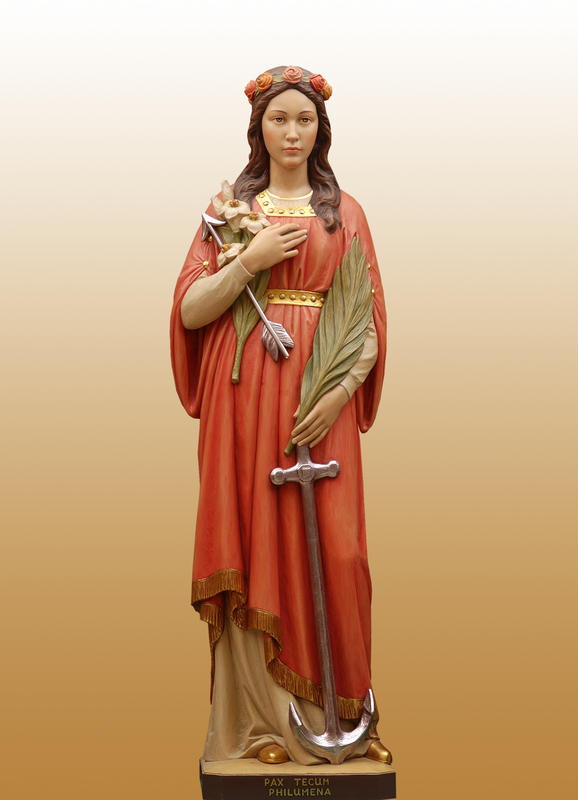 The following account of the life of Saint Philomena is taken from the official account of Fr. Di Lucia’s Relazione Istorici di Santa Filomena and subsequent annals from locutions received by Sr. Luisa di Gesu in August of 1833. These revelations received approval by the Holy Office, (presently the Congregation for the Doctrine of the Faith) on December 21, 1833. “My dear Sister, I am the daughter of a Prince who governed a small state in Greece. My mother is also of royal blood. My parents were without children. They were idolaters. They continually offered sacrifices and prayers to their false gods. A doctor from Rome named Publius lived in the palace in the service of my father. This doctor professed Christianity. Seeing the affliction of my parents, by the impulse of the Holy Ghost, he spoke to them of Christianity, and promised to pray for them if they consented to receive Baptism. The grace which accompanied his words enlightened their understanding and triumphed over their will. They became Christians and obtained the long desired happiness that Publius had assured them as the reward of their conversion. At the moment of my birth, they gave me the name of “Lumena,” an allusion to the light of Faith of which I had been, as it were, the fruit. The day of my Baptism they called me “Filumena,” or “Daughter of Light,” because on that day I was born to the Faith. The affection which my parents bore me was so great that they had me always with them. In Memoriam of Deceased Members of the Silva Family. What is noteworthy from a historical perspective is not only that this revelation was confirmed by two other individuals unknown to each other (one a priest, the other a historian), but these other historical facts: 1) The Third Century Roman Emperor was known for executing Christians by the use of arrows, exemplified by St. Sebastian; 2) The Third Century Roman Emperor was also known for killing Christians by tying anchors around their necks and throwing them into the water; 3) The reference to “Lumena” — the name given to her at birth, “Light” — and then at Baptism, “Fi Lumena,” “Daughter of Light,” may explain the arrangement of the tiles found at the grave as “Lumena,” her first given name, was on the first tile. In these fierce days of persecution, the primitive Christians were obliged to perform the sacred rites of their holy religion in the subterranean caverns (cryptœ) which extend on every side of the Eternal City, but clustered most thickly at the south-east corner, near the Appain Way and the Ardeatine Way. These caverns, long-believed to have been originally mere sand-pits, arenaria, out of which sand was dug for building purposes, are now proved beyond all doubt to have been constructed at great expense by noble and wealthy Christian families as places of burial. 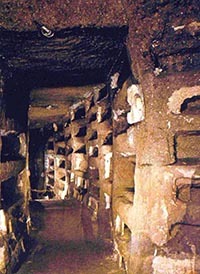 During three consecutive centuries, the Catacombs, as they are called, were places where the faithful had their temples and altars; where they met to pray in common and where the Pontiffs celebrated “The Gathering,” or the Holy Sacrifice of the Mass. They were in constant use also up to the cessation of persecution, and even to 410 A.D as the last resting-place of the Saints and martyrs. In the terrible irruptions of the Goths and Lombards, many of these cemeteries, especially of the Via Salaria, were sacrilegiously plundered of their sacred treasures, and in part destroyed. When happier times ensued – at the commencement of the eighth century and culminating with Pope St. Paschal – all the relics of the Popes and principal martyrs and confessors which had hitherto lain in the Catacombs were removed for greater safety to the churches of Rome. As time passed, the Catacombs were abandoned and in great part closed, and the knowledge of them was lost altogether, until they were accidentally re-discovered by some laborer in the year 1578. Even then they seem to have been left unguarded, and permission was given to the faithful to take away whatever relics they chose. On the removal of the tiles in the cavity, were disclosed the remains of an interment, which competent authority pronounced to be those of a young girl from thirteen to fifteen years of age. The head was small and very much fractured, but the principal bones were entire. Surgeons ascertained the type of wounds inflicted. Physicians examined the skeleton – its small unbroken bones, fractured skull, and eye sockets. The maiden had been lanced. That summer, the Bishop-elect of Petenza went to Rome to be consecrated, and also to congratulate Pope Pius VII on his return from France, on behalf of the King of Naples, the Spanish Don Carlos. He took with him as his chaplain, a holy missionary priest, Don Francesco de Lucia Link Out, who was serving the parish of Mugnano north of Naples. Don Francesco, a cultured and pious priest, was born in Mugnano del Cardinale on September 19, 1772. 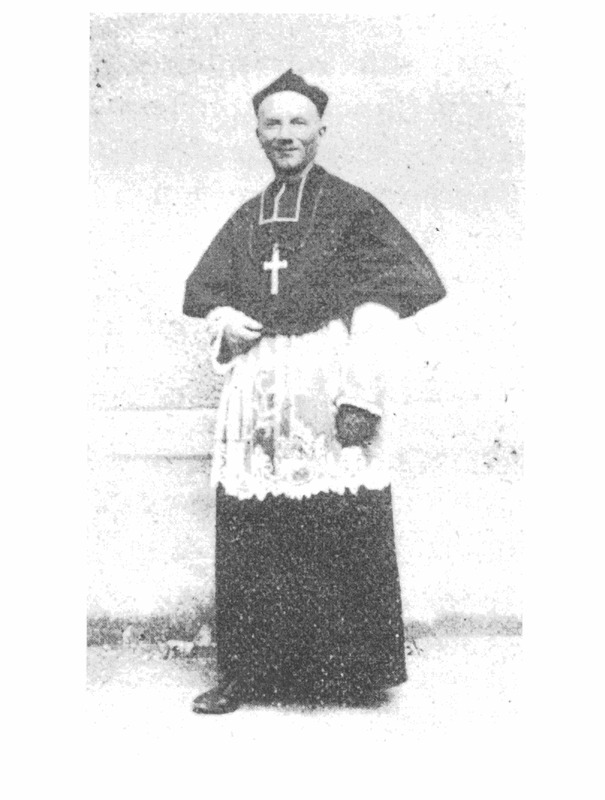 He completed his studies in the Congregation of the Most Blessed Sacrament of Lucera. Ordained a priest on September 19, 1796, he opened a school of philosophy and literature in Naples. He quickly gained the esteem and affection of distinguished Neapolitan people in education circles. Amongst these was the Venerable Jesuit Servant of God, Guiseppe Maria Pignatelli. Don Francesco De LuciaDon Francesco De LuciaDon Francesco had a heavy heart. His parish was infested with impurities of revolutionary ideas, resentment against the authority of the Church, unbelief, and immorality. His secret hope was to get the Bishop to use his authority to get him the relics of a martyr – a Saint who would come back with him and help him convert his parish. He knew exactly what he wanted – a virgin martyr whose name was known. The Guardian of the Custodia Generale, which Don Francesco soon got permission to visit, was evidently taken by this devout and humble priest, and said he would help him acquire what he desired, and told him to choose among the relics in the Custodia. In mid-May, Don Francesco was taken to the Treasure House of Relics, which was under the care of a worthy guardian, Monsignor Don Giacinto Ponzetti. There were those of thirteen martyrs, but only the names of three were known – one was a child, one an adult and then there was ‘Filumena.’ He had wanted a virgin martyr from the start, but what was more, when he stood before the case containing Filumena’s relics, he felt alive with spiritual joy, and it was as though She instantly took away the heaviness of his heart. This was undoubtedly the helper he wanted! The Guardian promised to arrange for this. 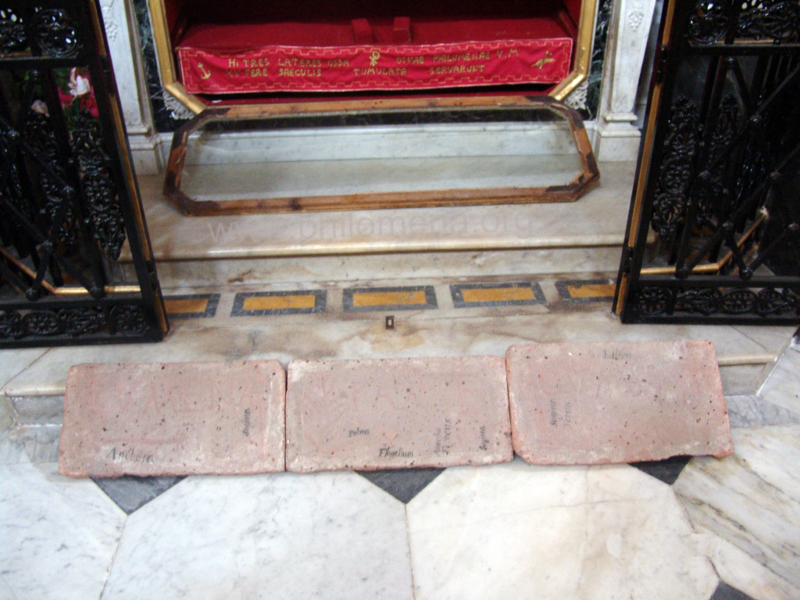 Imagine his disappointment, then, when the official reply came that bodies of martyrs whose names were known were so few, that such as were found must be kept for special churches or dioceses. His sadness doubled. Rome is not the best place in which to spend the summer – or at least it was not in those days, when the marshes of the Campagna had not been drained. As a result of the intense heat, and his considerable worry and disappointment, Don Francesco’s health began to decline. A friend offered him the relics of an unnamed martyr to comfort him, but he would not accept it. He was convinced that only Filumena could help him convert his parish. One night when he was burning with fever, he promised that if Filumena would grant him sleep, he would do everything possible to take her as his patron to Mugnano. Miraculously, his fever was gone and he fell asleep awakening in perfect health. The cortege was due in the little town on Sunday, August 10, and on the vigil, bells were joyfully rung to announce the event. At dawn, a messenger was sent by Don Francesco to proclaim that the sacred body was coming. Soon an unusual excitement reigned, and crowds were seen proceeding from all directions to meet and welcome Her. The day was to be noted as a memorable one in the archives of Mugnano. More than forty priests in their richest vestments, the members of the various confraternities and representatives from the neighboring parishes went in procession displaying their banners. The road was strewn with olive branches and exquisite flowers. When the body came into sight, all the bells were heard “sprinkling air with holy sounds,” and heavenly music, sounds of bomb and gun fire, and groups of young men and young girls united in song welcomed Her in the most honorable way. Don Francesco de Lucia Link Out, to give a solid and profound base to the devotion to the Saint, founded the Association of the Children of St. Philomena. He was the first rector of the sanctuary and most vigilant guardian of the holy remains of the Saint. He dedicated his priestly life for the glory of God and for souls. After 41 years of untiring apostolate in the propagation of devotion to Saint Filumena in all the Kingdom of the Two Sicilys, acquiring the regard of cardinals and bishops, he rendered his great soul to God on April 9, 1847. Pope Gregory XVIPope Gregory XVIFor thirty years miracles continued to increase in number at Mugnano, and the glory of the “Thaumaturga” (Wonder-worker) filled the Universe. Various appeals were addressed to the Holy See so that a feast day might be established, and an Office and Mass permitted in her honor. “Surely, my child,” replied the august Pontiff, “for that would indeed be a first class miracle.” This miracle indeed took place at the Sanctuary of Saint Filumena. On her return to Rome, the Sovereign Pontiff wanted Miss Jaricot to stay a full year there until all doubts about the completeness of the cure were quashed. 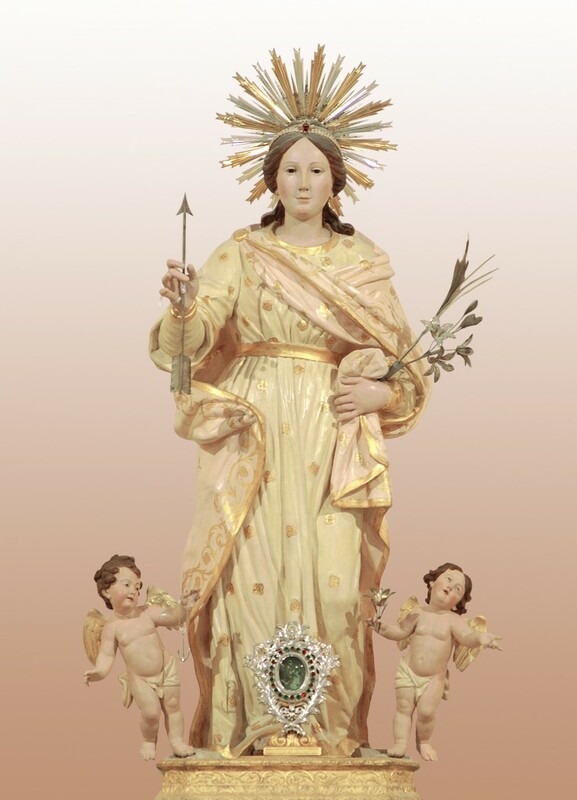 Then, in a decree of the Sacred Congregation of Rites, confirmed by the Pope on January 30, 1837, the feast of Saint Philomena was established as the eleventh of August. In summary, Pope Gregory XVI in a papal decree, granted official approbation of the liturgical cultus and, thereby, official ecclesiastical recognition of the sanctity of St. Philomena, virgin and martyr. The Pontiff, fully aware of the absence of any historical account of the martyr Saint “Filumena,” granted to her the privileges of public liturgical veneration based upon the foundation of the great quantity of miracles ecclesiastically documented and recognized as having occurred through her direct intercession. The official positive decree of Pope Gregory XVI in papal recognition of Saint Philomena’s status as deserving of liturgical cult reinforces the deeper truth that far more important than the historical account of Philomena’s earthly life is the historical and documented account of her powerful intercession for the Church as sanctioned by God himself. Whoever this early Christian martyr is and whatever constitutes the particular circumstances of her life and death, God is pleased with prayers of petition offered in the name of “St. 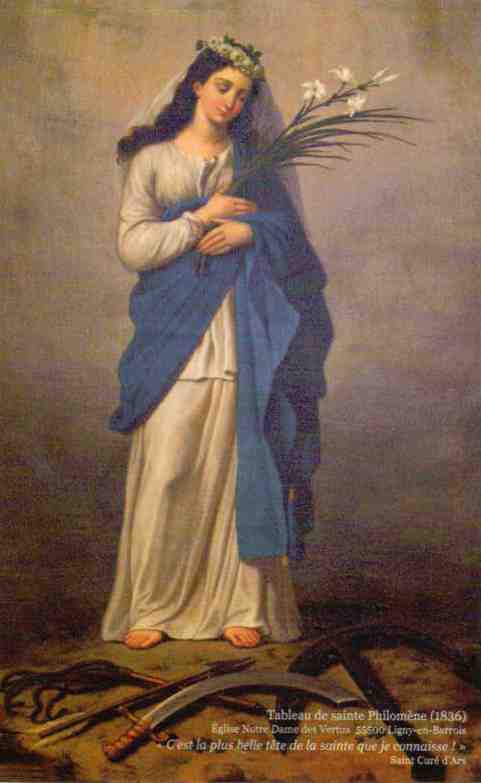 Philomena,” to which He has responded generously to the Christian faithful in granting an abundance of heavenly favors. 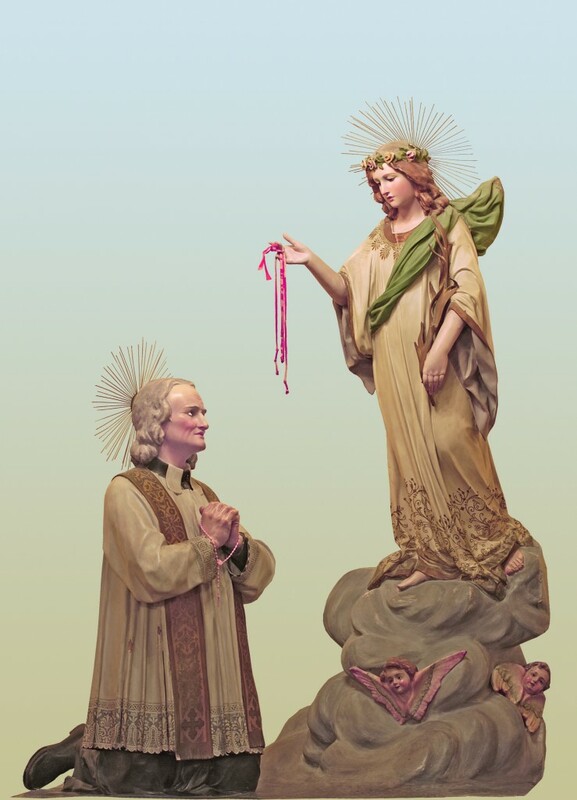 Pope Leo XIII granted papal approbation to the Cord of Saint Philomena with several plenary indulgences in association with its wearing, and accorded the title and privilege of “archconfraternity” for the respective Philomenian devotion and work in France. 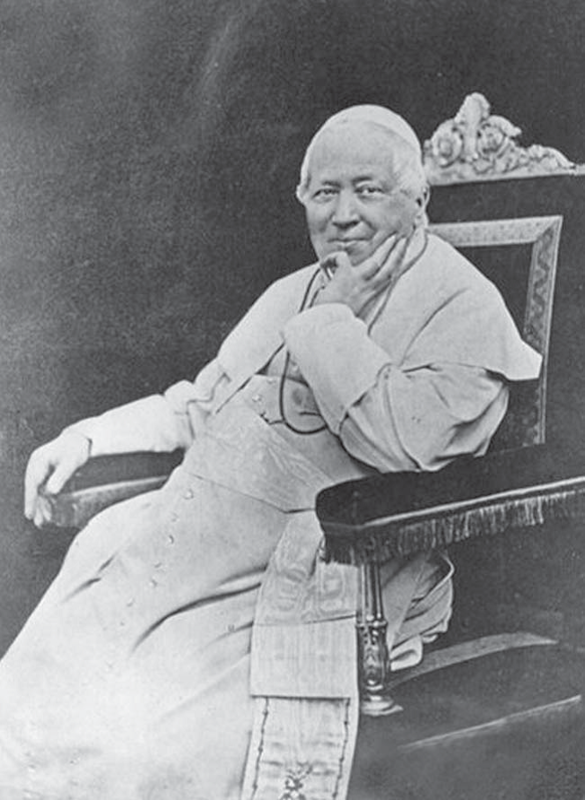 Pope St. Pius X continued the papal succession of encouragement for public Church devotion by approving the extension of the Archconfraternity of St. Philomena to the universal Church. The testimony and cure of Ven. Pauline Jaricot through the intercession of the young martyr Saint has been noted. 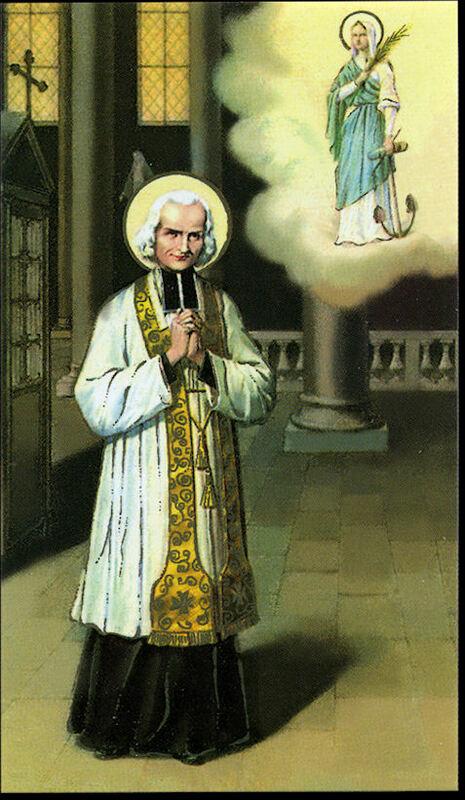 St. Peter Julian Eymard was cured from serious illness after having been instructed by St. John Vianney to pray a novena to Saint Philomena. St. Peter Channel, the first Oceanian martyr, preached of St. Philomena and referred to her as his “auxiliary” in his missionary apostolate. Blessed Damien de VeusterBlessed Damien de VeusterSaint Joseph Damien de Veuster of Molokai Link Out dedicated his first chapel in Molokai to the young Saint. 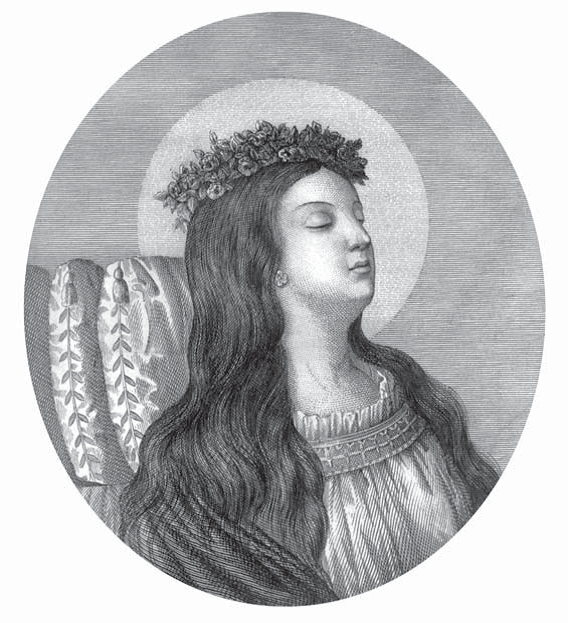 St. Madeleine Sophie Barat consistently invoked Saint Philomena during difficulties in the establishment of her societies, and attributed the miraculous cure of a dying novice to her intercession. Note also the predominant importance of the supernatural intervention of miracles in the Church process of canonization. Without the documented miracles, an individual cause does not typically advance past the status of “Servant of God,” even with extensive historical evidence of an earthly life of heroic virtue. The Church places its greatest emphasis for canonization, along with an essential historical basis, upon God’s witness to the sanctity of the candidate through the manifestation of miraculous intercession by the person. It was therefore most appropriate for Pope Gregory XVI to give far greater importance to the miracles documented to the intercession of St. Philomena, rather than to the history of her earthly existence beyond the Church approved criteria of historically establishing her martyrdom. The present inquiry into the case of Saint Philomena should follow the same criteria as those followed by Popes Gregory XVI, Bl. 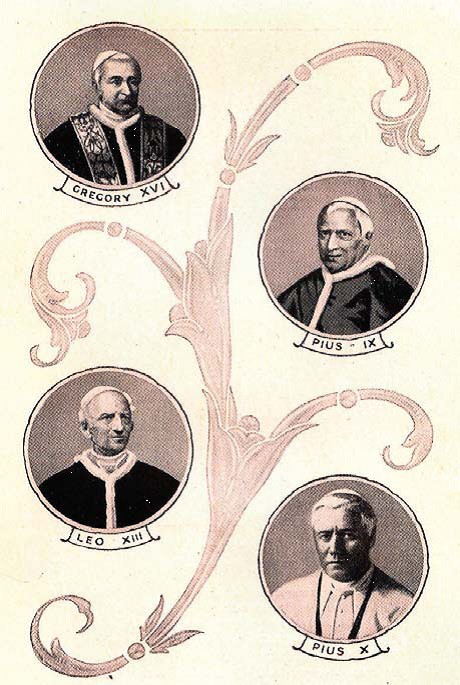 Pius IX, Leo XIII and St. Pius X. With regard to the private acts of the Sovereign Pontiff; Leo XII., after reading the account of her written by Don Francesco di Lucia, was filled with admiration for his holy martyr: he blessed God for the power He had bestowed upon her, and authorized the creation of chapels in her honor. He gave his blessing to the holy women who devote themselves to good works under the invocation of this Saint and are known as the Monacelle, or Little Sisters of Saint Philomena. Seeing the strict rule under which they lived, their uniformity of habit, &c., he imagined that they must live in the seclusion of monasteries; but when he heard how great was their number, and that they led this holy life in the bosom of their own families, and spread abroad their salutary example wherever they went, in church, in the streets, or in the fields, he was delighted, and said these words spontaneously: – This miracle is greater then any other miracle worked by the Saint. What! In an age of universal corruption, in a kingdom so lately subjected to so many vicissitudes of religion, these pure souls have arisen to thread publicly underfoot the world and the flesh! I now bless them all!” And raising his right hand making the sign of the cross, he repeated, “May they all be blessed!” The order of the Little Sisters of St. Philomena was founded by Don Francesco in honor of Saint Philomena – and for the consolation of the many should who longed to dedicate their lives to the service of God by imitating the purity of their beloved Saint. 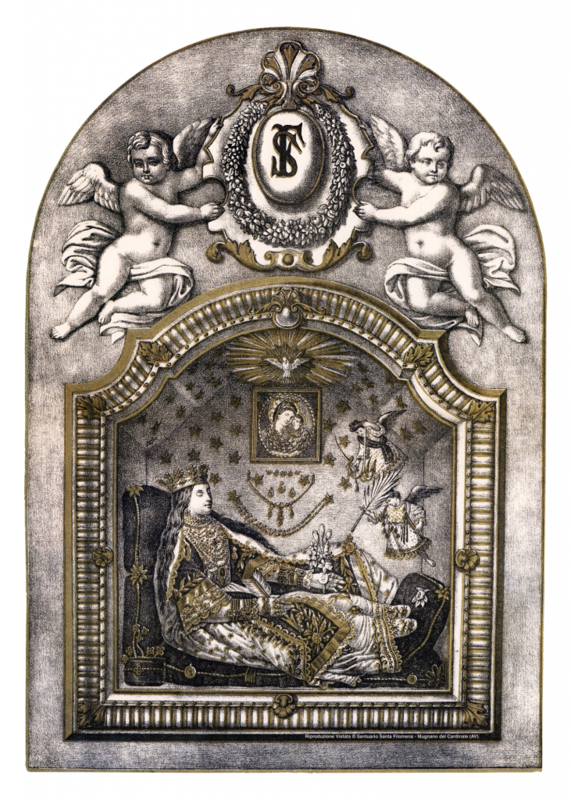 Gregory XVI never called St. Philomena anything by, “The great Saint,” or, “The Thaumaturga of the nineteenth century.” He blessed a picture of her to be exposed to public veneration at the Caravita in Rome, where she had a chapel. He also named her patron of the Living Rosary. When Mgr. afterwards Cardinal, Feretti paid his second visit to Mugnano, he was the bearer of a large silver and gold lamp presented to the Saint by Pope Gregory XVI. 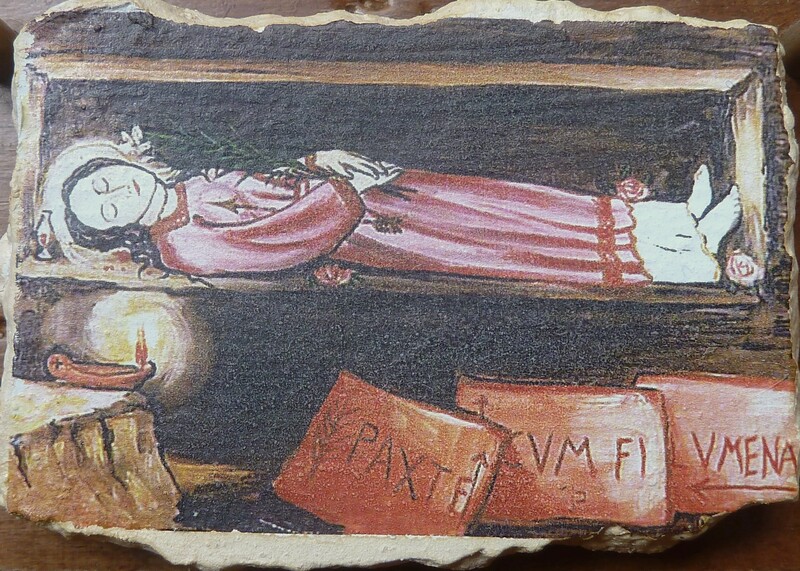 I – Among the different sepulchers of Martyrs which were accustomed to be discovered in the cemetery of Pricilla, on the Via Salaria, there appeared that one wherein the body of Saint Philomena had been laid; as was stated in the inscription of the tomb, place upon three tiles. Yet, although a phial of blood was found there, and other tokens of martyrdom were to be seen inscribed thereupon it is nevertheless to be regretted that her life, her acts and, the kind of martyrdom which she suffered have remained in obscurity. II – As soon as the sacred body, which was obtained from the munificence of Pius VII., at the commencement of his Pontificate, was exposed to the veneration of the faithful at Mugnano, in the diocese of Nola, an immense celerity of renown and devotion towards this holy Martyr was spread abroad in those parts; especially on the account of the miracles which were said on all sides to have been worked through her patronage. Hence, not only holy prelates and distinguished ecclesia.